Leaders shared their insights, hands-on experiences, and guidance at the recent CSH Summit held June 5-7, 2018 at The Westin Bonaventure Hotel & Suites. The summit is the only national conference focused on supportive housing and attendees heard from thought leaders from all over the country about best practices and replicable ideas from this and other grassroots movements. The Summit offered Pre-Summit workshops and over 50 breakout sessions across 11 tracks of the most pressing local and national topics including: Best Practices in Los Angeles, Beyond Housing Stability, Developing and Sustaining Supportive Housing, Equity: Policies and Practices, Healthcare: Innovations in the Field, Population Specific Strategies, Research and Data, Rural Supportive Housing, and System Transformation. 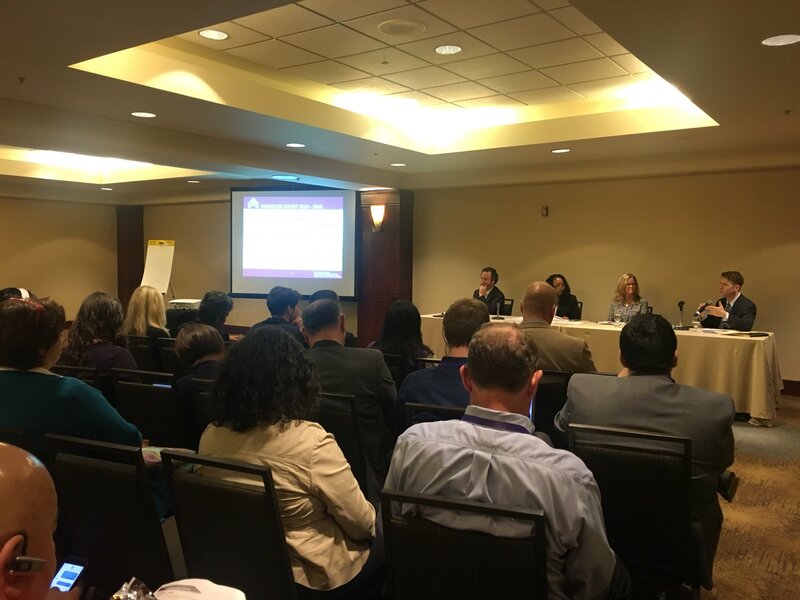 LISC LA, along with our subsidiary National Equity Fund, was a proud sponsor of the Los Angeles Takes the Lead track where we heard from experts doing the work around policy, development, research, and wraparound services. We also had the pleasure of hearing from participants of the CSH Speak Up! Initiative which is an empowering resource for individuals with lived experience of homelessness who use their stories in the work to end homelessness. We were inspired by all of the remarkable work our colleagues around the country are doing and use that inspiration to drive our work here in the LISC LA office. With residents and partners, LISC LA forges resilient and inclusive communities of opportunity across America – great places to live, work, visit, do business and raise families. Thank you to our funding partners who share the same commitment.